This research examined how culture influences the effectiveness of the strategic displays of emotions in negotiations. We predicted that in cross-cultural negotiation settings, East Asian negotiators who highly regarded cultural values that are consistent with communicating respect as humility and deference would be more likely to accept an offer from an opposing party who displayed positive as opposed to negative emotion. With a sample of East Asian MBA students, the results of Study 1 confirmed this prediction. 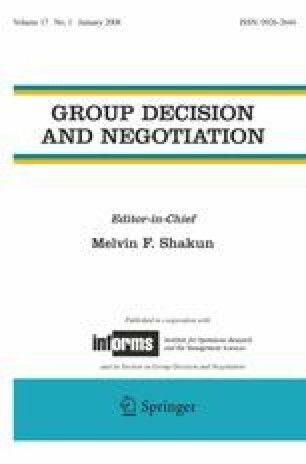 Study 2 results replicated this finding with a sample of Hong Kong executive managers and also found they were less likely to accept an offer from a negotiator displaying negative emotion than Israeli executive managers who did not hold humility and deference in such high regard. Implications for strategic display of emotions in cross-cultural settings are discussed.